Jaguar West Columbia Service near Columbia, Maryland is the number one service department that provides affordable service for your vehicle. We take pride in being the one-stop shop for your everyday needs and providing a state of the art service department that includes a spacious customer lounge where our customers can wait while their service is completed. 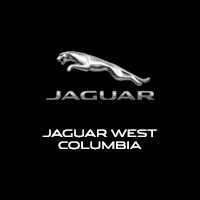 Jaguar West Columbia’s well-trained service and parts staff will provide you the highest levels of customer satisfaction. We are proud to serve West Columbia Maryland, as well as the neighboring cities, such as Annapolis, Bethesda, Towson and Rockville. Need Jaguar or Land Rover Service? Jim Coleman Jaguar and Land Rover Service is conveniently located near you. Stop on by to Maryland’s number one Service dealer, Jim Coleman’s Jaguar and Land Rover Service, where we care about our customers! Our Jaguar and Land Rover service department in West Columbia, Maryland goes above and beyond to meet our customer’s Service and Parts needs. Here at Jim Coleman Jaguar and Land Rover Service in West Columbia, we are considerate of your time! We pay attention to detail, whether you come in for general car care, scheduled car maintenance or emergency repairs, we put our customer’s needs first. Jim Coleman Jaguar and Land Rover Service is the number one service dealership in Maryland and the tri-state area, conveniently located near Columbia, Silver Spring, Towson, Bethesda and Annapolis. You are sure to want to come back and visit us, once you experience Jim Coleman Jaguar Land Rover and Service first hand. Our well-trained service and parts staff are here to provide you with the highest levels of customer satisfaction. Service is what we do here, at Jim Coleman Jaguar and Land Rover Service in West Colombia near Ellicott City, Towson, Rockville or Annapolis. Come by and experience what Jim Coleman Jaguar and Land Rover Service is all about! Our service experts are dedicated professionals that are ready to meet all your service needs. Keeping your car in the best shape of its life is what we do best. Our service staff is knowledgeable in all things Jaguar and Land Rover Service. We have helped customers from Annapolis, Bethesda, Towson and Rockville. Our customers love returning to Jim Coleman Jaguar and Land Rover West Columbia Service no matter the service cause. Jim Coleman Jaguar and Land Rover Service near Colombia Maryland, is the number one Jaguar and Land Rover Service Department serving Annapolis,Bethesda, Towson, and Rockville. We have convenient service and parts hours; schedule your service now at Jim Coleman Jaguar Land Rover West Columbia Service. Our state of the art service department includes a spacious customer lounge where our customers can wait while their service is completed. Jim Coleman Jaguar and Land Rover Service is your one stop shop for all your service and parts needs. At Jim Coleman Jaguar and Land Rover Service, we provide affordable service prices for your everyday service needs. Need your oil, tires and brakes changed? Jim Coleman Jaguar and Land Rover Service near Annapolis, has best service equipment in the Maryland area, to meet any and all service needs. Customers love coming back to Jim Coleman Jaguar and Land Rover service near Rockville for their top quality customer service. You can expect speedy service at Jim Coleman Jaguar and Land Rover Service; we keep our customer’s time in mind. You are sure to find factory-trained and certified service technicians that know your car in and out at Jim Coleman Jaguar and Land Rover Service. We hope that you find our service department website helpful to your Jaguar and Land Rover service needs. Our service website is available to you 24 hours a day. You can search general car information, such as when to change your tires, or schedule a service appointment with a click of a button. You can also visit our parts department on our website and order all the parts you need. At Jim Coleman Jaguar and Land Rover Service, we have a full line of accessories readily available to all our customers. You need it, we got it. We are proud to serve West Columbia Maryland, as well as all the neighboring cities, such as Annapolis, Bethesda, Towson and Rockville.